A unique event at the end of the year – get a preview before the Techni-Show and visit us during the Dé MAAK industry day. Request your tickets today! Xcelerate excels at loading workpieces into CNC machines. 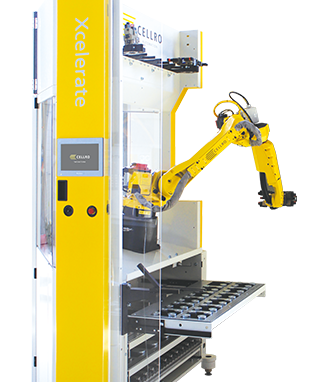 Due to its compact build, Xcelerate can easily be placed next to an existing machine, leaving the machine freely accessible so it can also be loaded manually. Xcelerate is real automation, intended to help the specialist achieve a daily output increase of 20%.